PowerCore X8, DSP Board from TC Electronic in the Powercore series. TC Electronic introduces the limited PowerCore X8 Sonnox Edition, a PowerCore X8 bundled with Sonnox Oxford EQ and Sonnox Oxford Dynamics plug- ins. 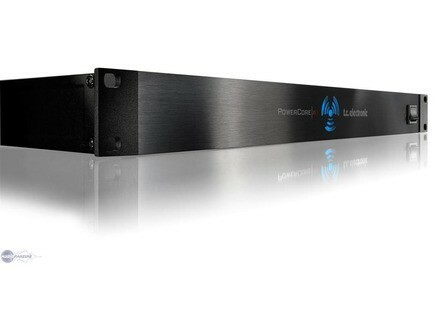 PowerCore X8 is designed for high-end production environments. It includes two acclaimed Sonnox plug-ins - the Oxford EQ and Oxford Dynamics from Sonnox - in addition to 14 included TC Electronic plug-ins. Bela D DSynth /Shadows of Luminosity Bela D Media has announced the release of DSynth / Shadows of Luminosity for Native Instruments' Kontakt.